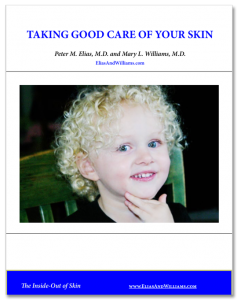 About Dry Skin - Elias and Williams: The Inside-Out of Skin by dermatologists and skin researchers Peter M. Elias, M.D. and Mary L. Williams, M.D. Almost any one may experience may experience dry skin (or ‘xerosis’) at some point in time. For example, one’s skin can feel a bit dry when the relative humidity remains low for weeks on end, as it does in our indoor heated climate during the long winter months in places like Chicago or Winnipeg, or if one soaks in a hot bath too often or too long. Then too, almost everyone’s skin will dry out somewhat as they age. And our skin often may feel a bit dry, if we are among the many adults who take statins to control blood cholesterol levels. 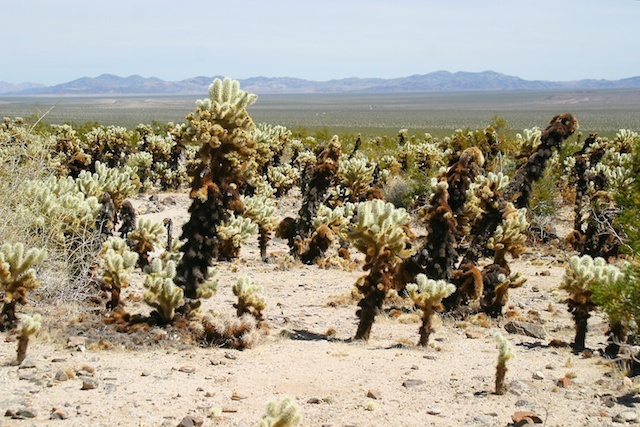 In the case of life in Northern latitude during winter months or in the deserts of the American southwest, skin dries out because the stratum corneum can’t hang on to enough of its water. The water gradient across the skin – that is, the difference between the water content of the skin and that of the surrounding air – is just too steep, even for completely normal skin. The problem for the avid bathers and for the elderly is different—here, there simply isn’t have enough fat (lipid) in the stratum corneum to hold in the water. Frequent bathing in hot water, particularly using a strong soap, will remove a lot of these fats, just as hot water and detergent will remove grease from a frying pan. With aging though, the problem is that the epidermal cells simply can no longer manufacture sufficient lipids for the stratum corneum to be able to trap and hold onto water. Then, there are those of us who have an inherited tendency for dry skin, a condition that often runs in families. In the case of those with eczema or atopic dermatitis, either now or in the past, many will have an inherited deficiency in a protein called ‘filaggrin’. In the stratum corneum, this protein normally is broken down to generate a group of small, water-binding molecules, which have been termed ‘natural moisturizing factor’ (or ‘NMF’). People who lack this molecule will experience ‘dry skin’, but what they really have is a type of ichthyosis, called ichthyosis vulgaris, which often looks indistinguishable from severe dry skin. In fact, lots of people with ichthyosis vulgaris probably aren’t aware that they have an inherited skin condition. When skin is dry because of a deficiency of lipids or of filaggrin, its dryness is part of another problem with the stratum corneum – an impairment of its water-proofing capability. As the skin’s barrier fails, it not only allows water to escape, it also allows more uptake of noxious chemicals from our environment. These two factors – the increased water loss and the uptake of irritants and allergens – trigger inflammation and this in turn results in itch. Dry skin, therefore, is often itchy skin. Problem dry skin, whether inherited or acquired with age or through the intake of cholesterol-lowering drugs, can be made worse by occupation. Consider the plight of the dishwashing housewife, hairdresser, dentist, nurse, worker with wet cement, or fishmonger. In all of these situations, their occupations involve prolonged or repeated immersion in water, often hot and soapy water, which results in the extraction of too much lipid (fat) from the stratum corneum. Now, let’s say you have inherited a tendency for dry skin and that you also are required to immerse your hands repeatedly in hot water and detergents. Add to that equation, that you live in the northern part of the country and it’s winter. This combination is like hitting the jackpot – but in reverse. You are set-up to develop skin inflammation, ‘winter itch’, or even an eczema. Thanks for your comments. Glad you enjoyed the post.